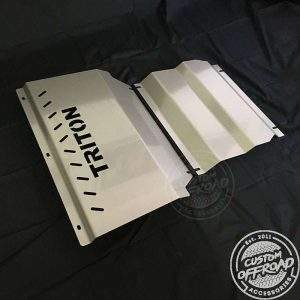 Custom Offroad Accessories Pty Ltd has previously offered for sale, manufactured and sold counterfeit bash plates and has infringed Toyota’s trade marks. 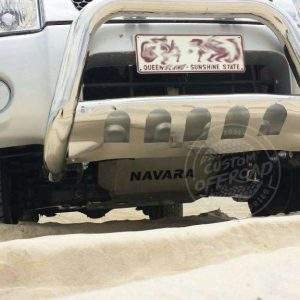 Custom Offroad Accessories Pty Ltd apologies to Toyota and its customers for this conduct. Custom Offroad Accessories Pty Ltd has no affiliation with, or sponsorship or approval from Toyota. 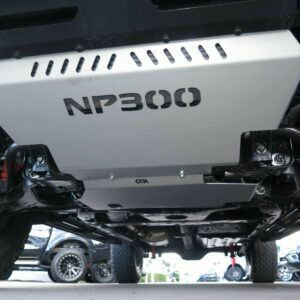 Extend the life of your 4WD vehicle with High-Quality Underbody Bash Plates. 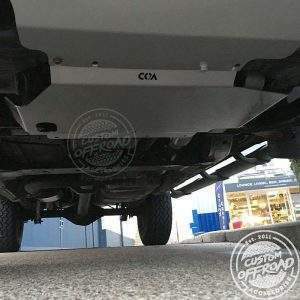 4WD Underbody Protection or “Bash Plates” are an essential part of every 4×4 set up for offroad adventures. 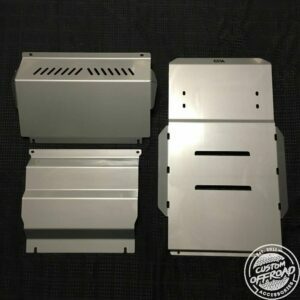 They are designed to protect the underside of your vehicle from any objects that could cause damage. Whilst most factory protection is sufficient for protecting your vehicle from stone damage, a more robust solution is required to increase protection from rocks, stumps and ruts encountered in more challenging terrains. 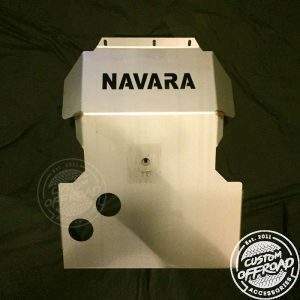 Custom Offroad Accessories 4wd bash plates are a minimum of 3mm thick stainless steel. 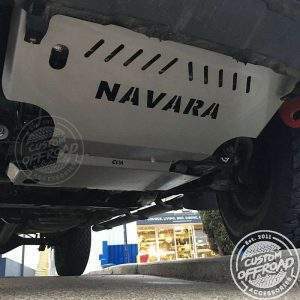 Our plates are designed to take hit after hit so your vehicle will make it through its 4×4 adventure. They protect the vital components without compromising performance and durability while looking good at the same time. They don’t rust, are lightweight and look great! 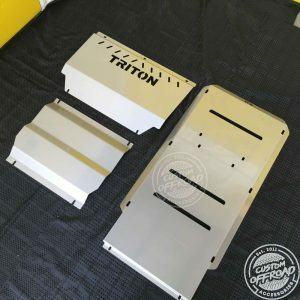 Get your bash plate fitted at one of our distributor’s locations. Be Prepared; Bash your plates and not the vulnerable areas of your 4WD. 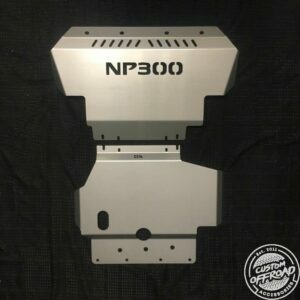 Bought the full bash plate kit for our 2014 ranger before heading to the cape, This product from COA is by the best and easiest product to install, the quality and speedy service and postage is unmatched, to anyone looking at this product, don’t go to anyone else, buy from here you won’t disappointed. 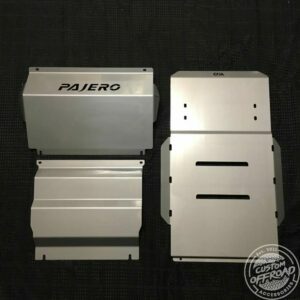 Suitable for Pajero Sport QE 2015 to 2018 3 Piece Bash Plate Set *Fits with all Bull bar setups. Purchased undercover protection for my MQ Triton perfect fit, all bolts, washers supplied. Machining and fabrication was second to no one. Great job! Will be testing in the victorian high Country early next month. 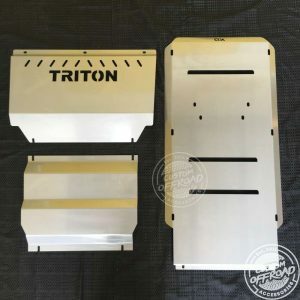 Fitted my D22’s sump guard today, took only a few minutes; impressed with the product, the delivery speed and communication… I will definitely be a returning customer! !